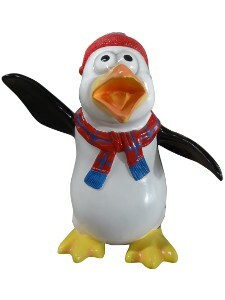 This adorable, mini playful penguin comes complete with a red hat and red and blue scarf. He is ready for this holiday season. 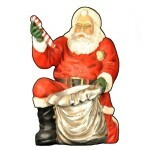 Funny penguin stands approximately 23"